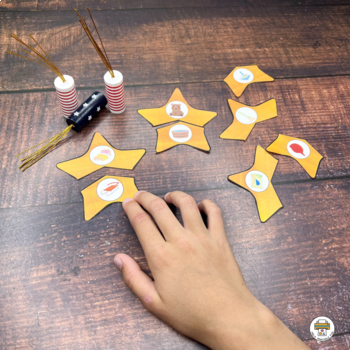 Sparkler Color Matching Puzzles, BBQ Color Sorting Puzzle, plus even more easy to assemble activities. You can easily turn these activities into a variety of hands on learning centers. Use them to create tot trays or file folder games. 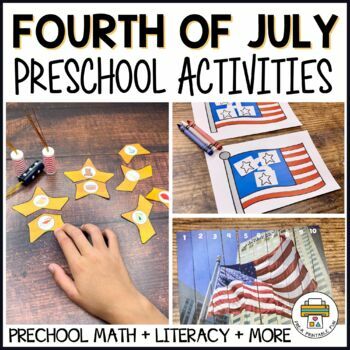 Looking for some more 4th of July Activities? 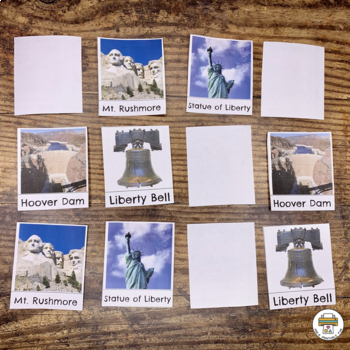 Be sure to check out my FREE 4th of July Themed Lesson planning page here! Help the children in your care learn literacy skills, and math skills. 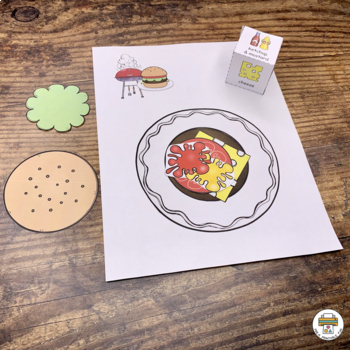 Some of the skills covered in this pack are: colors, shapes uppercase and lowercase letter identification, one to one correspondence, counting, and ordering numbers 1-10. Visit my FREE Lesson planning pages for ideas to compliment this theme!